Compared to Americans, the Japanese have less of a sweet tooth. 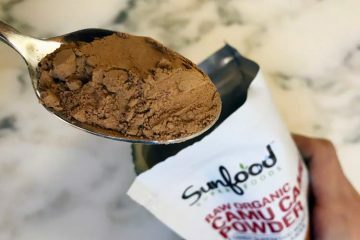 We have heard from many who hate the fact that us Westerners tend to ruin everything by adding sugar to it. 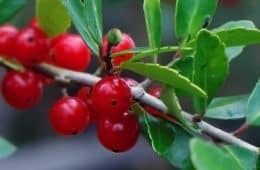 It’s almost impossible to buy dried berries – such as cranberries – at any grocery store in the U.S. which are not sweetened with added sugar. Even foods marketed as being “healthy” such as organic protein bars… most seem to have 10 to 20 grams (or more) of sugar in some form. But the Japanese are not innocent. They definitely like a few sugar-laden foods themselves. Their melon fetish is hard to understand. Sure, the sugar content (fructose) is naturally occurring, but that doesn’t change the fact that it too will spike your blood sugar. What cooked Japanese white yams look like. And while you don’t eat the skin of a melon, you do (or should) with apples, pears, and many other fruits. They don’t, they peel everything… cutting off antioxidants in the process. Another offender? Compare Japanese sweet potatoes vs. the American sweet potato. Both are healthy relative to your regular white spud, but this is a category where the American style wins. Not only with what’s on the nutrition facts label, but also because of other benefits (and side effects) you won’t find on there. It’s important to differentiate between the Okinawan purple sweet potato and the white fleshed version. 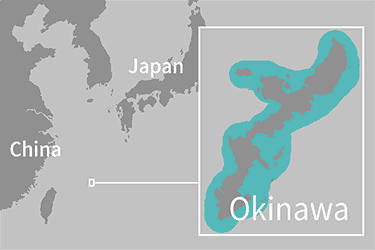 The Okinawan comes from an island which is 400 miles south of mainland Japan. Up until recent history, they lived in their own little world out there, with a way of eating which was quite different. 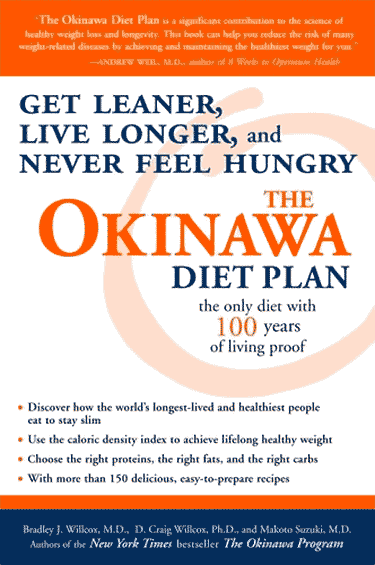 Before adapting Western style cuisine, thanks to the Okinawa diet, the island’s inhabitants had the longest life expectancy on earth – 81.2 years. A staggering 70% of their former diet consisted of Okinawan purple yams. That’s not an estimate, either. It’s an actual figure based on a thorough study the U.S. military did following World War II, while they had to occupy that island for a period of time. 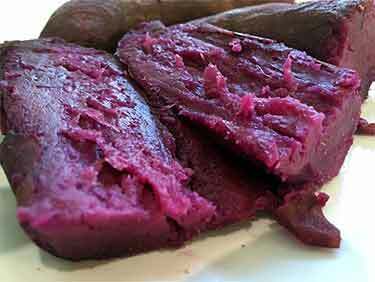 Those purple beauties are quite different than the white sweet potato, which is more popular on the mainland. 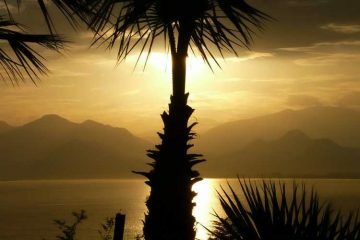 You will understand the pros and cons for each in a moment. No, it’s not TJ’s per se, but in the fall they do seem to be the largest retailer where you can buy them. You will also find Melissa’s brand of produce selling them at other grocers. 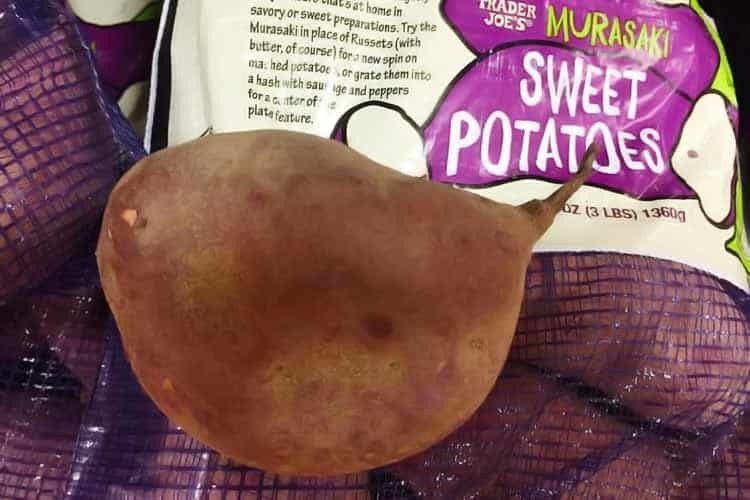 What is the Murasaki potato? Your typical Japanese yam. Whether you’re talking about Murasaki or another white fleshed variety, they are essentially all the same in taste, appearance, and nutritional values. There is also the satsumaimo (sometimes spelled satsuma-imo) which has a light yellow flesh. It is a cross between the American yam and the white Murasaki. It tastes like your average orange version, but with a milder flavor and a more creamy, softer texture. Grown mostly in Kyushu, Japan, finding the satsumaimo for sale in the United States is rare, so we will be leaving that type out of this review. Here’s how the nutritional benefits of the typical Japanese version and the Okinawan compare to the orange yams, which you are accustomed to eating here in America. 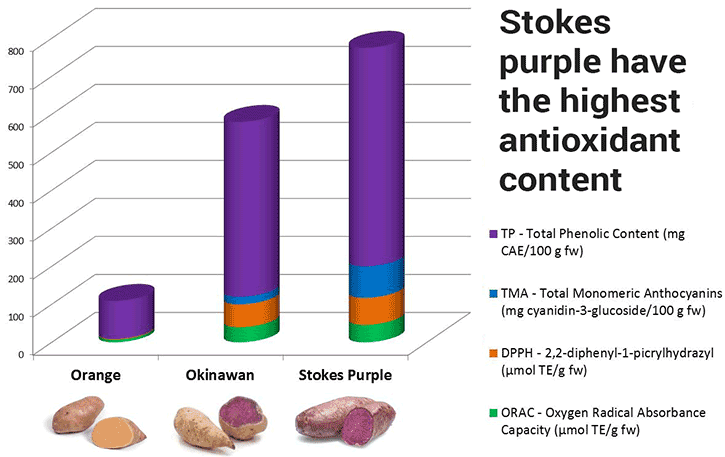 **Nutrition data for Okinawan purple has been re-calculated for a 130g serving. University of Hawaii only provides analysis on potatoes without skin. Outside analysis with skin is erroneous, see below. ***Sugar data incorrect, see below. Can you trust your nutrition label? Despite the fact that the USDA National Nutrient Database has over 77,000 entries, you will only find information on the orange varieties. From sweet potato fries to baby food, there are hundreds of entries containing the orange type, but nothing for the white, yellow, and purple varieties. That leaves only 3rd party sources for Okinawan and Japanese sweet potatoes. To call them sloppy would be an understatement. Those spammy websites – the content mills – list nutritional values without any verifiable sources provided. Or if they do provide a source, it doesn’t match the data they list! 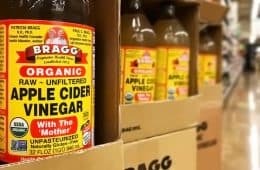 Even major sellers of these have their ingredient labels flat out wrong. 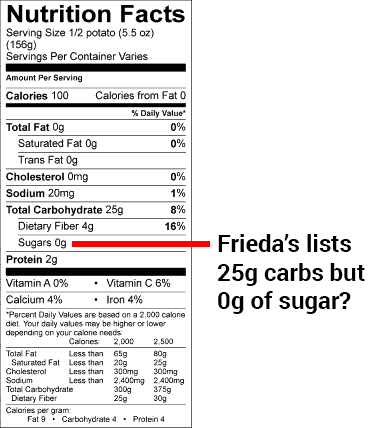 Frieda’s, a California-based company who is among the largest in specialty produce, lists zero grams of sugar on the label for the their Okinawa. Look at Melissa’s Okinawa sweet potato nutrition facts. Like Frieda’s, they are another major player in the space. Rather than calculate the values themselves, their website literally has a cropped screenshot of a University of Hawaii webpage which lists the data (the same source we used above). The problem? That university source does not include sugar content. 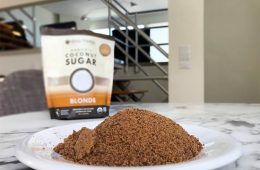 They calculate out calories, carbs, fiber, fat, vitamins, and minerals… but neglect to address how many grams of sugar there is. Furthermore, their values are calculated with the skin removed. Melissa’s should be providing data with the skin, as that is what they are selling, the whole potato. With about 60% more carbs versus an orange sweet potato and a Murasaki (on an equal weight basis) it’s not feasible that the Okinawan has zero grams of sugar. As hard as it is to believe, there is not a good source which provides this piece of info. And yes, ultimately carbs become sugars, but slower digesting carbs are much healthier for you. When it comes to Japanese white yams, we turn to the Murasaki as the source, given that it is the de facto type sold in the US. For that kind, the bag from Trader Joe’s lists the data. But even they are sloppy! Trader Joe’s list the potassium as being 620 grams per serving. That defies math, given that it equates to around 400% more than the weight of the serving size, which is 130 grams. Ultimately when it comes to these niche foods, obtaining reliable and complete nutrition facts is not always easy or even possible. What’s included in the table above are what we believe to be the most reliable sources for each type of potato, even though two out of the three are flawed. Both of these foreign varieties have a different flavor and look than your standard American yam. What does a Japanese sweet potato taste like? Very creamy with a chestnut flavor. The fibrous strings are much less noticeable. As far as aesthetics, what the Japanese looks like on the inside is pure white. Some have a slightly yellow color, but the Murasaki is known for being more white. The outside skin is a purplish-brown, which makes the color of the inside flesh even more surprising. You typically can only find these for sale in the fall. 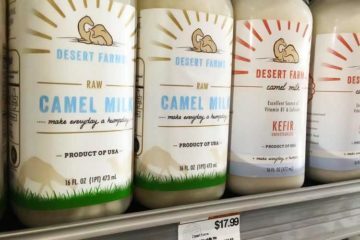 Aside from Trader Joe’s, some higher-end grocers like Whole Foods and similar will sell them. What do Okinawan sweet potatoes taste like? 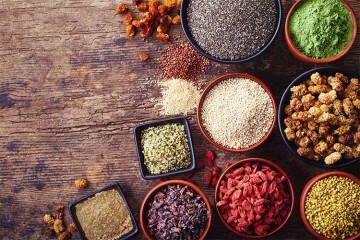 Several years ago, Dr. Oz highlighted this variety on his list of top superfoods. 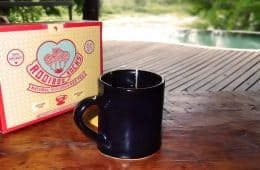 It has a slightly sweet flavor which some have described as fruity. 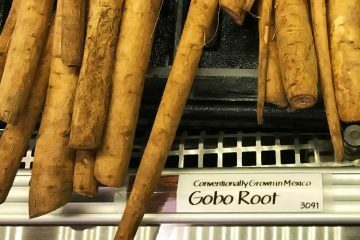 It does have a creamy texture, but typically less so than the Japanese white sweet potatoes. As far as appearance, given its brown skin, the Okinawa looks more or less like a regular potato. When you cut it open, you see dark purple flesh with a violet-white starburst throughout. The health benefits of this sweet potato are covered extensively in the popular book, The Okinawa Diet Plan: Get Leaner, Live Longer, and Never Feel Hungry. There are two ways to answer this question. 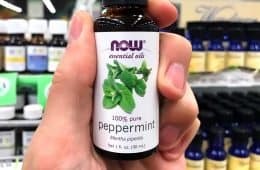 Basing it off of the nutrition facts label or digging deeper into the off-label data; glycemic impact, the antioxidant content, and other phytonutrients. Or you can just base your decision on total nonsense, like X-Men actress Olivia Munn, who reportedly said that Japanese potatoes are what keeps her wrinkles away, according to a Page Six article. 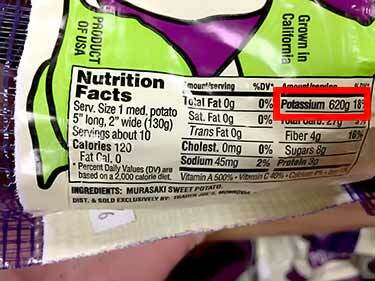 The Murasaki has 60% more sugar than your average American sweet potato. 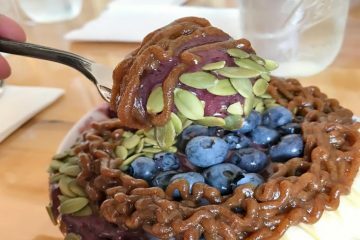 Given Murasaki’s super smooth and cream-like consistency, even without seeing the glycemic data, we had assumed it would have a higher impact on blood sugar, since it likely gets absorbed faster. The actual measurements confirmed that. Based off of a 150 gram serving – which is 5.3 ounces – the University of Sydney has published the Glycemic Index (GI) and Glycemic Load (GL) data for the American and Japanese. Compared to baking, boiling generally produces better numbers regardless of the type you’re cooking. 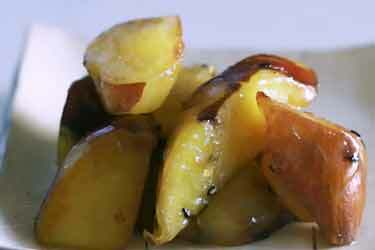 A Japanese sweet potato baked would be expected to have a GI possibly exceeding 90. That’s worse than instant mashed potatoes (the regular kind) which clock in at 87. While GI is useful, glycemic load is considered to be a more accurate way of evaluating blood sugar impact. Even when they’re cooked using identical recipes for boiling, the Japanese has a glycemic load double that of your standard orange type. If you’re not diabetic, that kind of blood sugar spike might be acceptable if there were other beneficial things to make up for it… but are there? No one has measured the GI or GL for the Okinawan, so we can’t use that as a metric for comparison. However it does blow away the orange yam when it comes to total antioxidants, according to the ORAC values for each. Stokes purple sweet potatoes win by a landslide. Compared to the Okinawan, they have a deeper purple flesh with less of the white starbursts inside. 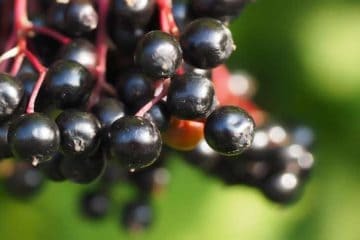 That means more peonidin and cyanidin, which are two types of anthocyanins… a potent class of antioxidants. How did the white sweet potato measure up? As with the glycemic measurements, this was another value we could safely predict. That’s right, when you compare the the Japanese white versus the Stokes purple, the latter has a value which is 10x higher. Even your run of the mill orange is 3x the Murasaki. 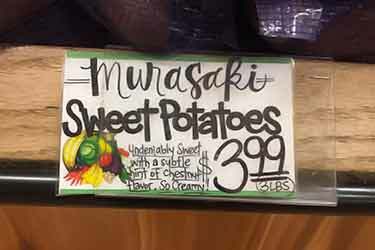 …anything but Japanese sweet potatoes. At least the white and yellow varieties. We admit, their unique chestnut flavor is an advantage for culinary concoctions. Sure, they contain respectable amounts of potassium, vitamin A, and vitamin C.
But neither benefit makes up for the glycemic side effects. 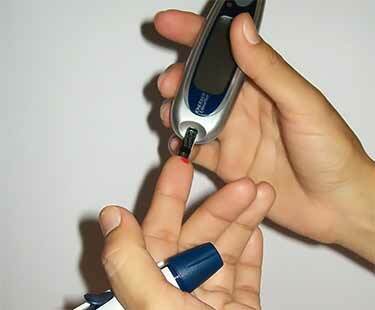 Whether you’re diabetic or not, that’s not good for you. And remember, if your recipe calls to bake them, the GI will be even worse. Don’t even think about frying because of acrylamide formation. Japanese yam fries could maybe be nicknamed cancer fries (we say maybe, because as of now acrylamide in food is not officially carcinogenic). If they had healthy amounts of antioxidants perhaps more leeway would be given, but they fail in that category, too. 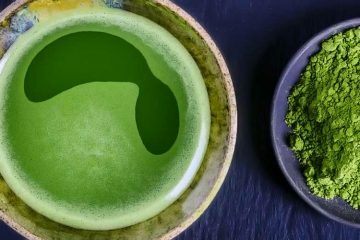 The Okinawan does have more calories and carbs per ounce (and an unknown amount of sugar) but its purple pigment offers beneficial antioxidant activity. When you consider how expensive the prices can be for the Japanese sweet yam, why not just save your money and go with the healthier American orange for your recipe? Not to mention, where you can find them for sale is just about everywhere! 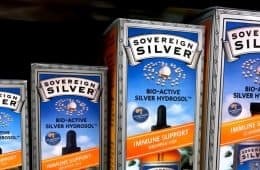 Or if you do want to spend a couple bucks more – and they’re in-season and in-stock – then you can buy the purple Stokes, which may be a better investment in your health. I must disagree with the above quote. The potato and the sweet potato are not botanically related. You have charts and stats that are nicely laid out, but you failed to research the plant. Thanks for comment, however that quote is not saying the potato and sweet potato are related. Perhaps you misread it, as it says both Japanese and American sweet potatoes are healthy when compared to white potatoes (i.e. potato). It would be great if the word yam would stop being conflated with sweet potatoes. Yam does not equal Sweet Potato, no matter how much American grocery stores would like to use the term. Exactly. They’re not even the same FAMILY. And I get tired of it. Yams and Sweet Potatoes also have different flavors. Does anyone have any information regarding the B vitamins content of the different sweet potato varieties? Sweet potatoes are one of my main sources of B6 and niacin. I prefer the white Japanese not because they taste sweeter (they don’t taste any sweeter than Garnets to me) but because they have a drier texture and are less prone to that bacterial rot that seems prevalent in the orange variety (they look fine on the outside and you don’t find out they are bad until you cut into them). I guess I will try to get the purples from now on. You can’t just use the glycemic index reading as an indicator for the health of a food. Potatoes of all varieties are all naturally have carbs in form of plant starch… which affects its GI score because much more of their net weight in grams is actually converted into blood glucose. It’s not a very fair comparison. For example, from Self’s Nutrition Data you can see that ice cream and pizza both have lower GI scores than a regular potato. Does that mean they are both healthier than potatoes? NO! It does not! Do not trust scales without knowing what they mean! Anything will always be okay in moderation! And yes, if you are diabetic or at risk for developing diabetes, you will want to steer clear of foods high on the glycemic index… not because they are necessarily but because of the dynamics eating high GI foods has with insulin. For the rest of us… don’t hate the potato 🙂 it’s a wonderful tuberous plant that has sustained many groups of people throughout history. And, when cooked and prepared in a healthy way, is great addition to anyone’s diet. I grow the Murasaki sweet potato and it is by far the best sweet potato i have ever eaten. I am an American now based in Japan and I can personally attest to the health benefits of eating 1 oven roasted Japanese Satsumaimo per day having done so for the last 4 weeks. My belly fat is down considerably and my bowels are regular. This variety of sweet potato requires no additives for consumption, no salt, no maple syrup and certainly no other sauces. You can eat it right out of the oven, skin and all. To maintain more of the nutritional properties I would suggest steaming it but they are sold ready roasted here in Japan for the equivalent of $1! 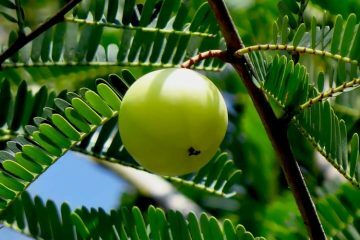 It’s yellow flesh is creamy when warm and can be likened to a desert custard. They are simply delicious and easy to digest. I think the high fish consumption in Okinawa might have a lot to do with their longevity. I guess I should buy the other sweet potatoes and add a bunch of sugar. Their fish consumption is not as high as you think. They are all about porky the pig there.